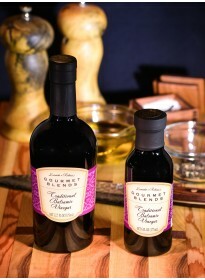 Our Vanilla Fig Balsamic Vinegar is the richest and most decadent of all our balsamic blends. Adding Vanilla to Fig Balsamic takes Fig Balsamic to new heights in gourmet foods eating. 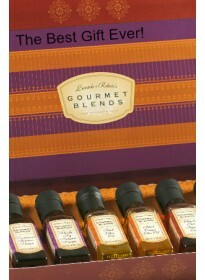 Use this on a cheese platter or a baked brie with chopped walnuts. Drizzle this over grilled fruit like peaches, pears or pineapple and you have the perfect non-fat dessert. It’s also a great finish for beef, lamb, or pork. 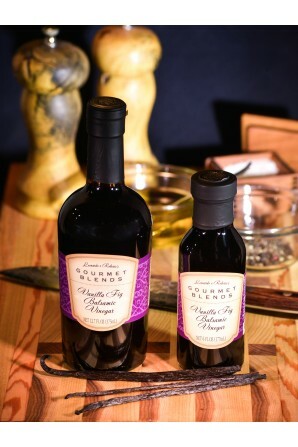 Enjoy a delicious Baked Beet Salad with Vanilla Fig Balsamic. 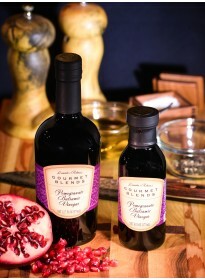 Ingredients: Balsamic Vinegar (4.5% Acidity), Fig Paste, Vanilla Extract. Gluten and Fat Free.